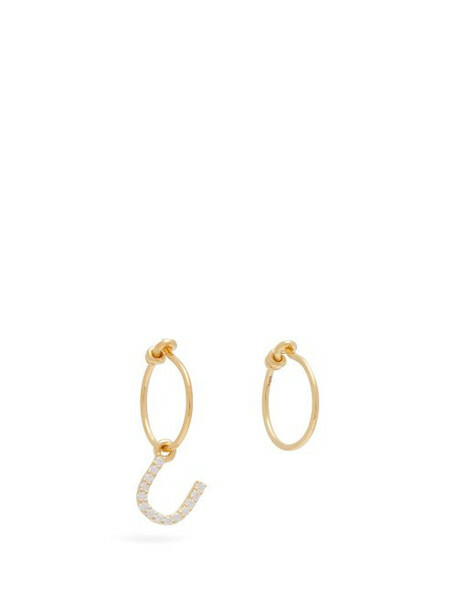 Theodora Warre - Theodora Warre's mismatched alphabet earrings bring a personalised touch to your jewellery repertoire. They're made by craftsmen in Jaipur - the designer has been fascinated with India since a trip there as a child - using locally sourced sterling silver that's plated with gold, with a single 'U' charm embellished with crystals. Trying mixing them with other letters from the collection to spell out a word or initials.